Our mission in Ireland is to offer you the finest and best-prepared escorted tours and cultural holidays of the island and its fascinating heritage. Ireland has been a well-established and thriving travel destination for a long time, her allure lying in a mixture of supremely romantic landscapes, pretty towns and villages, a rich cultural, literary and musical heritage and the unstilted hospitality of the locals. In approaching Ireland and the Irish, there is a long-standing danger to fall for generalisations and to settle for an Ireland that is quaint, or as the Irish would say, “twee”. The experience of Ireland that we envisage is more complex, more authentic and more diverse: in spite of the island’s seemingly isolated position at the north western extension of Europe, it has been visited by many, from many parts, and for a long time, sometimes in peace and sometimes in conflict: Mesolithic gatherers who came via Britain, Neolithic settlers from the continent, the Celts with their Central European links, Christianisation via the Roman Empire, the Viking raiders and city-founders, the Anglo-Normans, the English ascendancy, the Spanish Armada and the British “settlers”, have all left their mark on what is a unique and distinctive European culture. The ever-changing sum-total of that culture has been expressed in many ways that last for us to discover, appreciate and enjoy, from the great megalithic monuments of the Neolithic and Bronze Age and the enigmatic Celtic “Royal Sites”, via the Early Christian monasteries and their emblematic High Crosses, the Viking cities, the Norman castles and the Gaelic Tower Houses, to the Great Houses, the Palladian and Georgian gems and so much more. We are also highly sensitive to the connection between these cultural achievements and the country itself: its unique landscapes and striking features, its unusual ecosystems, its long-standing agricultural wealth and poverty, its rich fishing and its distinctive climate, all which gave rise to what Ireland gave to the world. Our aim is to present this rich heritage in its full splendour, from the quaint unnoticed detail to the full world-famous grandeur, wherever it may be set in time or space, as part of the ongoing story that is Ireland within human experience and achievement. 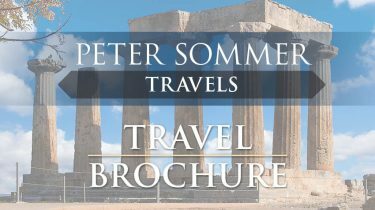 To do so, we have used the same ideas that have established our acclaimed Exploring Tours as some of the best-prepared and most carefully crafted cultural travel offerings in regions of Greece and Italy as the background for our Irish tours. They include: painstaking attention to detail based on intimate knowledge of a region, a holistic view of land and culture, bold “outside the box” thinking and a passionate ambition to present our guests with the best, the most interesting, the most real experience of an area and its history. Based on these principles, our tours in Ireland will be of equal interest to the first-time visitor and to the seasoned connoisseur of the “Emerald Isle”. This trip marks the fifth time that we have traveled with this tour operator, and we know from this experience and the previous four trips that the travel experience will be the best that one could possibly expect. All the trips have been well planned to cover a tremendous amount of history, archaeology, and culture, while at the same time providing superb accommodations. As always there are two guides, both of whom are extremely knowledgeable about the area, and both who possess great people skills.